This week, many of us will be visited by an assortment of monsters coming to our doors to politely ask for treats. It’s likely we’ll see zombies, vampires, assorted creations of Dr. Frankenstein, and perhaps even some scary clowns. Many of us will also watch scary movies featuring these same monsters, or settle into a comfy chair to read a spooky book. So, why exactly do these monsters hold sufficient power over us that we still devote an unofficial holiday to them? I think it’s safe to say most of us don’t believe we’re hiding from evil spirits by dressing up. Most of us have access to food and housing and despite the fears many politicians would like to instill in us with help from the media, we are, on the whole, pretty safe. In the article, Braudy suggests that societal changes over the last couple of centuries have given rise to five monstrous archetypes. I’ve had some fun thinking about how the monsters from my novels might fit into these groups. The titles are links and you can click on them to learn more about the books. The monster from nature represents forces humans think they’ve harnessed but haven’t. The monster I’ve written that fits that best would be “He Who Kills With His Eyes” from The Astronomer’s Crypt. He’s an ancient Native American elemental spirit released from his prison on the story’s hapless observatory and is very much kin to monsters like Godzilla or the shark from Jaws. The created monster represents our own creations turning against us. The super soldier vampires of Vampires of the Scarlet Order represent this danger. Scientists use nanites to create these monsters who represent a danger not only to humanity but to parallel worlds. The monster from the past represents a creature from our pagan past who challenges our Judeo-Christian beliefs. 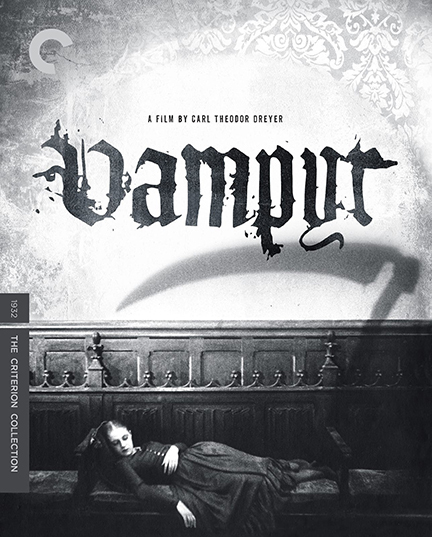 Braudy suggests Dracula is an example of this. My Scarlet Order vampires from Dragon’s Fall: Rise of the Scarlet Order do have elements of this in that they have great strength and immortality without recourse to a deity. The ghosts in The Astronomer’s Crypt might be better examples of this in that they haven’t moved on to heaven or hell and they gain strength from the release of dark forces. The monster from within represents our own repressed, dark psychology. The duality of Dr. Jeckyll and Mr. Hyde is a classic example, but I think my Scarlet Order vampires are good examples of this as well, especially in Dragon’s Fall: Rise of the Scarlet Order where Alexandra and Draco must face the monsters they’ve become in becoming vampires. The monster hoard which is the mindless, intractable collection of monsters such as zombies. For this, I’m actually going to turn to my steampunk works. The hive mind Legion and those humans Legion controls and connects in Owl Dance have certain zombie-like properties. At the very least, they represent giving oneself over to the collective like the Star Trek’s Borg. So, what’s your favorite monster? Which of these archetypes does it fall into, or does it defy classification? Hope you have a happy and safe Halloween and the only monsters you face are fictional ones. Back in 2012, I wrote a guest post about a strange, possible ghost encounter I had aboard the Queen Mary in Long Beach for Gayle Martin’s Accidental Ghost Hunter Blog. I’m sorry to say, Gayle is no longer maintaining the blog, so the original post is no longer available. I’m reposting it here so it’s still available for your reading enjoyment. These photos are from a ghost tour my daughter and I took during Her Royal Majesty’s Steampunk Symposium held aboard the Queen Mary in Long Beach California on Friday, January 13, 2012. The strangest incident that happened was when we went to the first class swimming pool aboard the ship. It’s a noted “hot spot” for ghost sightings. 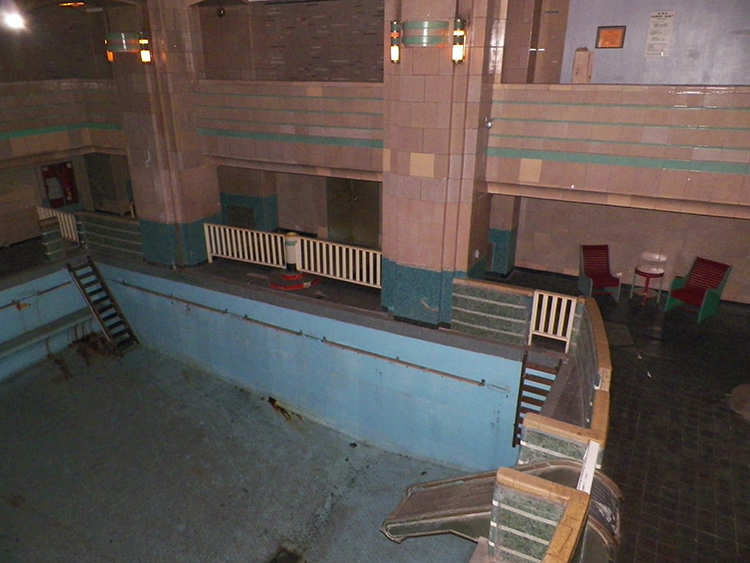 The first photo shows the pool. Off the upper balcony, we went into the women’s dressing rooms. I snapped a photo of the corridor. 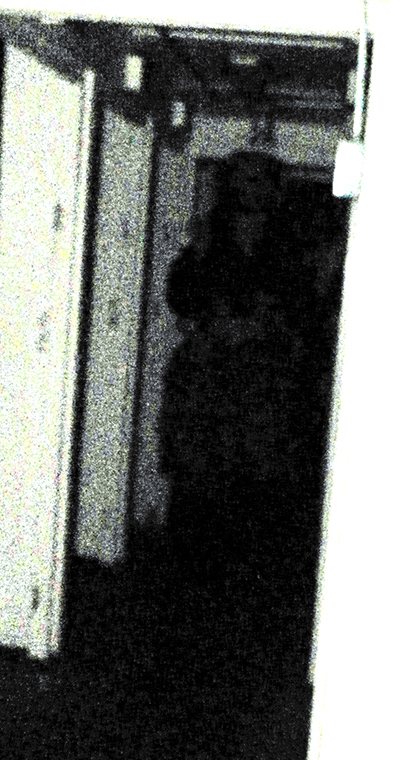 When I took the photo, I thought I saw a person in the flash and indeed, there is a strange, almost human-shaped shadow in the photo. I assumed it was one of my fellow tourists, but when I walked up the hallway, I didn’t pass anyone or see any other people ahead of me in the corridor or the dressing rooms. I did get a serious case of the willies as I walked further down the hall and the hairs raised on the back of my neck. When I downloaded the photo onto my computer, I assumed the shadow I captured was some strange trick of the light. However, I then did a simple brightness/contrast adjustment and adjusted the color curves a little in Adobe Photoshop and the image below popped out. I should note, the hallway was completely dark. The only illumination came from my flash. If this was a fellow tourist, they were standing in the dark with this apparently non-nonchalant pose. They had no flashlight and the flash didn’t seem to illuminate them. Another place that felt very eerie to me was the old boiler room. This photo was taken just outside the boiler room. 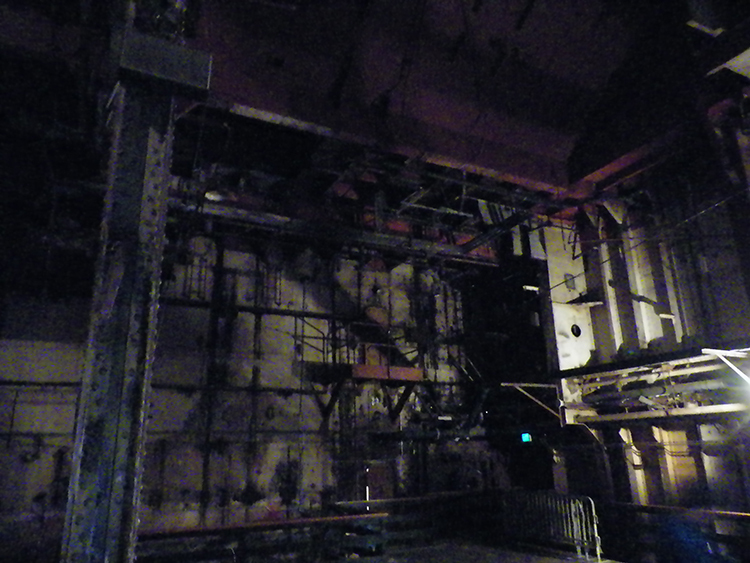 Inside, the boiler room, I took several photos. I kept feeling like I was seeing something move outside the corner of my eye. The one thing that I may have captured is the green glow in the lower left hand corner of the bottom photo. I’m a professional astronomer and writer. I’m also an admitted skeptic. 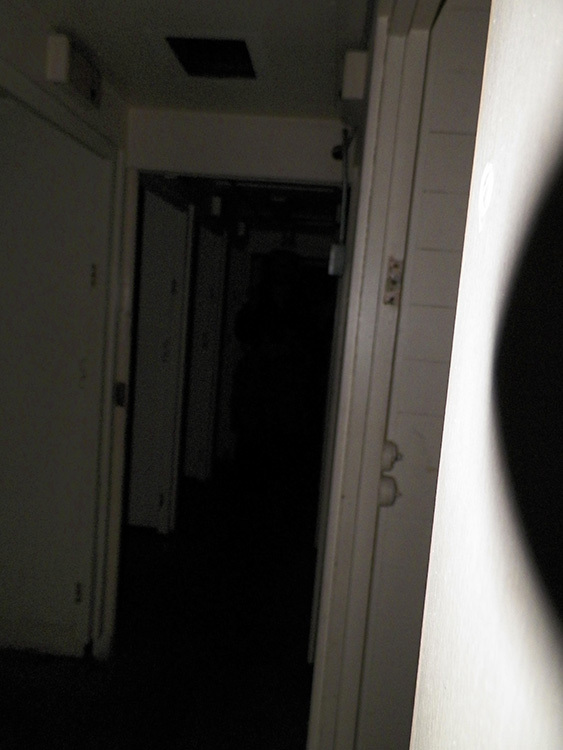 I’m hard pressed to say these photos serve as hard evidence of ghost encounters. Despite that, these photos do raise questions for me—especially the one taken in the dressing rooms. 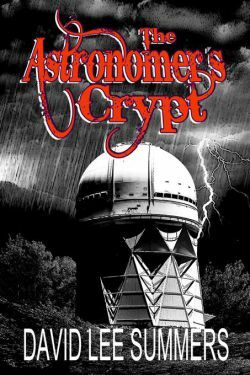 That said, incidents like this do provide inspiration for writing books like The Astronomer’s Crypt. I’m excited to have a new book out as we go into the holidays at the end of 2016. I thought it would be fun to revisit a couple of posts I wrote at the Scarlet Order Journal when I was writing The Astronomer’s Crypt that discuss the inspirations for the novel. Also, I’m giving away a Kindle copy of the novel. Scroll down to the bottom of the post to find out how to enter! 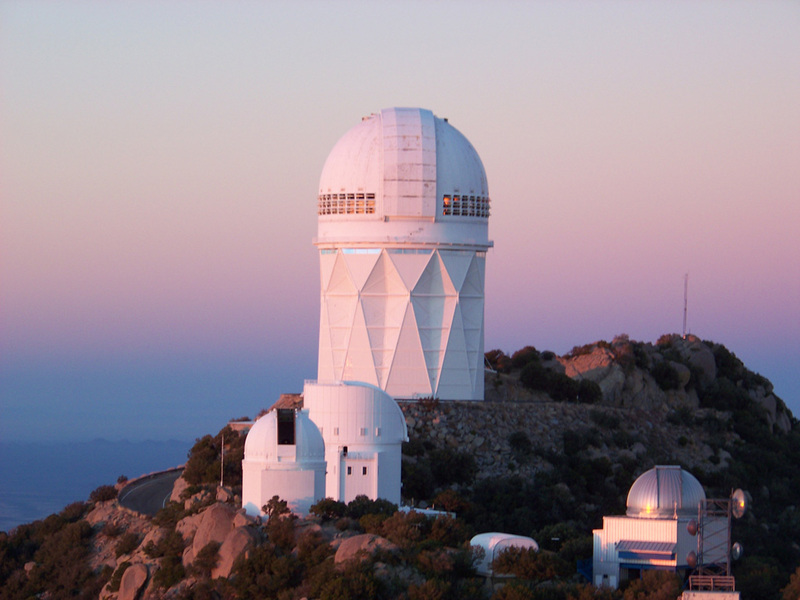 The novel takes much of its inspiration from my work at Kitt Peak National Observatory in Southern Arizona. One of the telescopes I operate is the observatory’s flagship telescope, the Mayall 4-meter shown here. Since I wrote my original post, I have heard stories that chairs in the old lounge on the so-called Utility floor could sometimes be seen to be rocking by themselves, as though occupied by ghostly inhabitants. Also, one night back in the 1990s, I once could have sworn I saw a flashlight beam from the catwalk. When I called the telescope operator on the radio though, I was assured no one was outside. Even without these scary stories, the Mayall is eighteen stories tall. On a typical night, only three or four people inhabit the building. It’s a big space that literally moans in the wind. 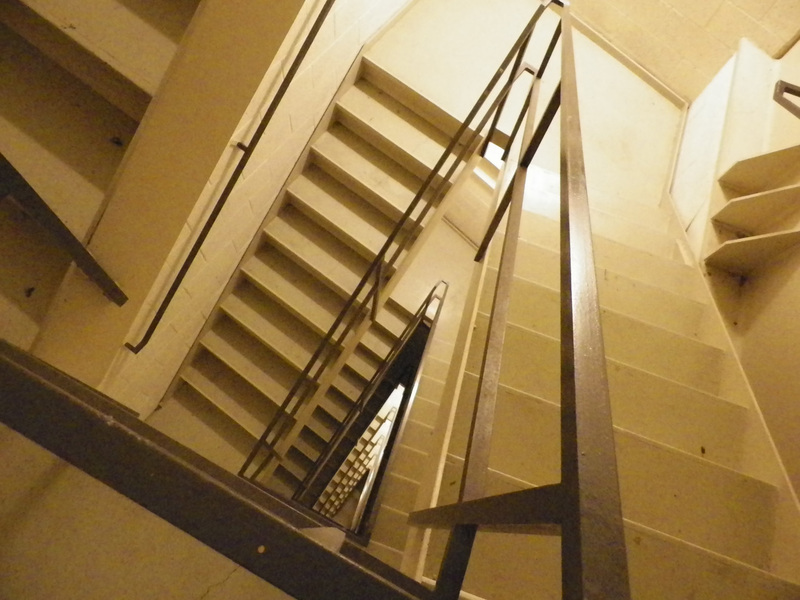 One night, the power went out and I had to climb the staircase in the dark, accompanied by nothing but the sound of creaking vents and the thudding of my own heart. 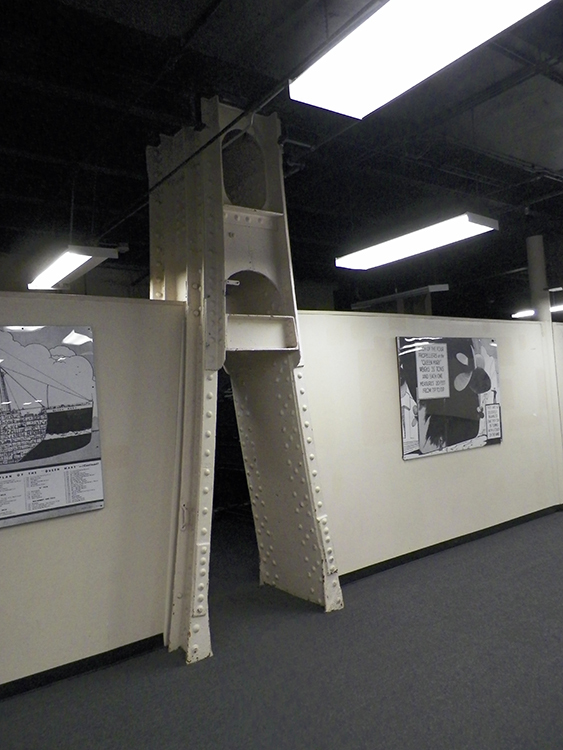 When it was built, the plan was for astronomers to stay in the building. Later, it was found that heating the rooms made for poor images at the telescope. So, the rooms were abandoned. 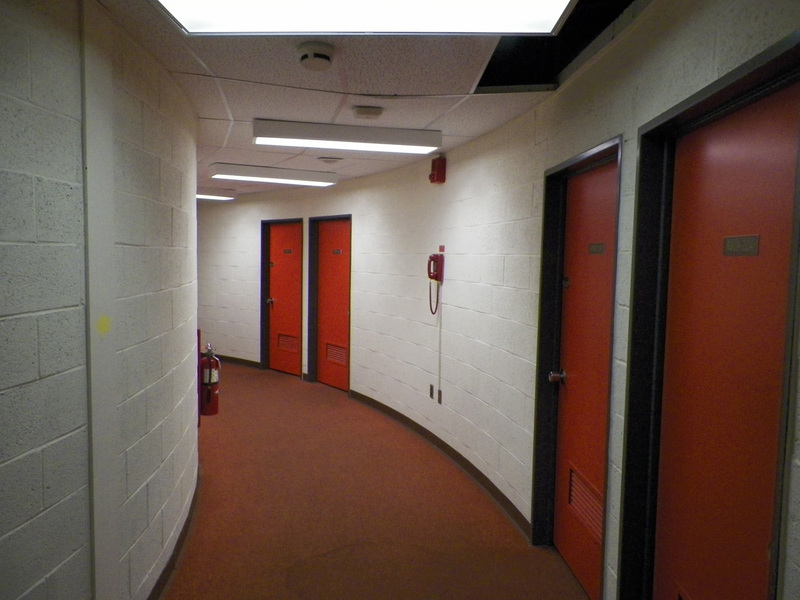 They still exist, and are used for storage, but it can be a little unnerving to walk down an empty hallway that curves around the building, frozen in time from the early 1970s. Large as the building is, there are also some rather cavernous spaces. Again, some of these spaces are used for storage. You can find computers from the 70s, 80s and 90s, plus parts from outdated instrumentation. When you walk into a space like this, is it so hard to imagine something lurking in the shadows? 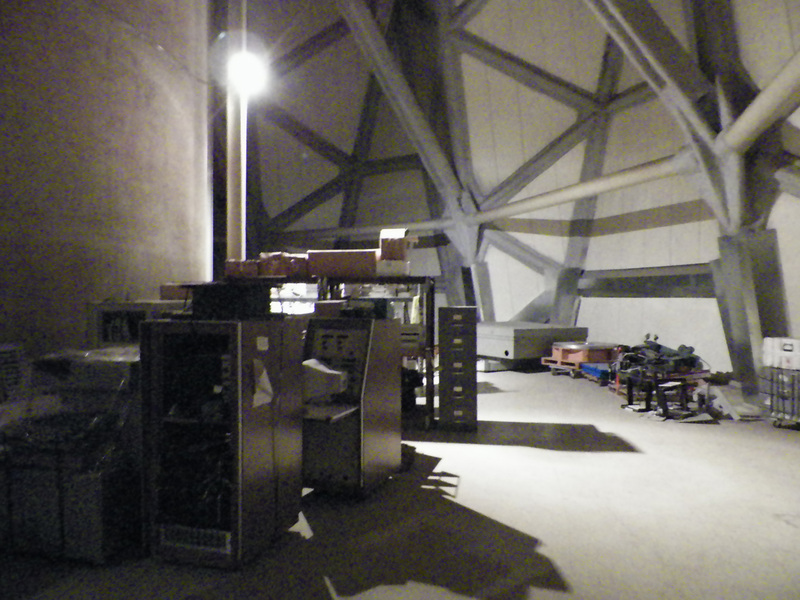 The 4-meter telescope is a large, sophisticated machine. 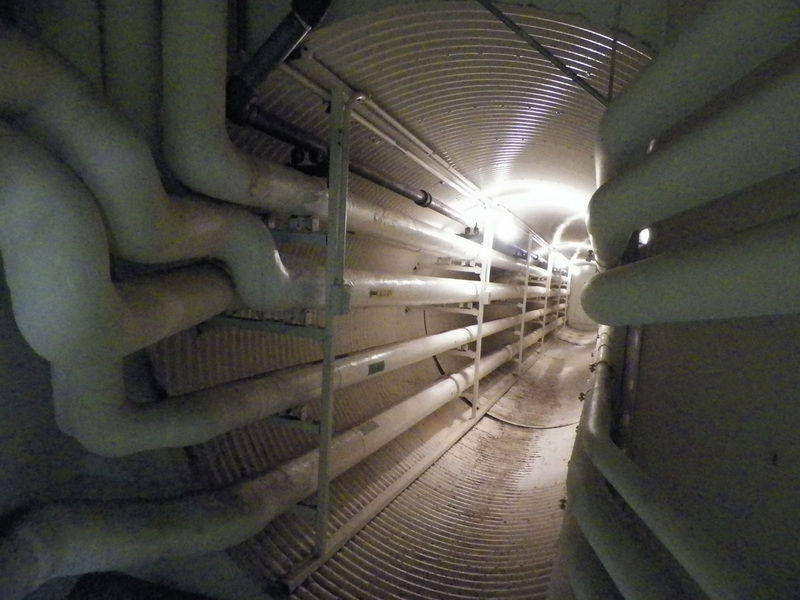 A lot of power is needed to run it, and pipes carry such fluids as water, glycol, and even oil throughout the building. There are numerous service facilities throughout the structure. Some of the spaces remind me of something from a science fiction film. What could be lurking around the corner in this photo? The Mayall 4-meter is an amazing facility. It’s the place where the observations that led to the discovery of dark matter were made. It’s about to undergo a refit that will put it on the forefront of dark energy research. Personally, I’ve seen everything from asteroids to distant supernovae to gravitational lenses at the telescope in this building. However, on some dark and stormy nights, I’ve walked down some of these corridors and wondered if I really was alone! 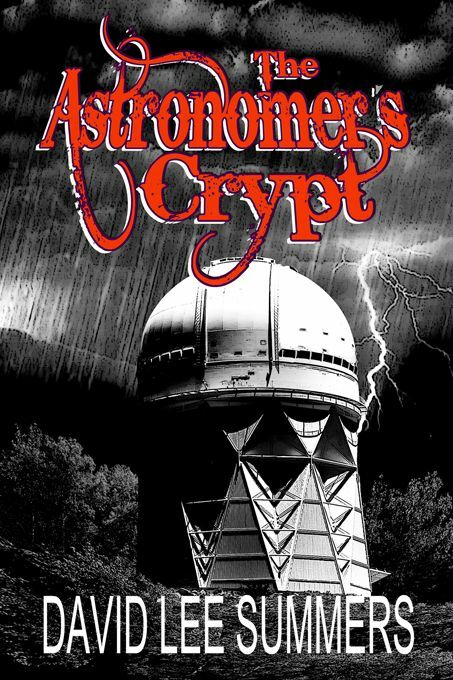 In honor of the season, I’m giving away a copy of The Astronomer’s Crypt for Kindle. Click the following link to see if you’re an instant winner: https://giveaway.amazon.com/p/c1ab0e67aed8c0d9 . The giveaway ends on January 6, 2017.